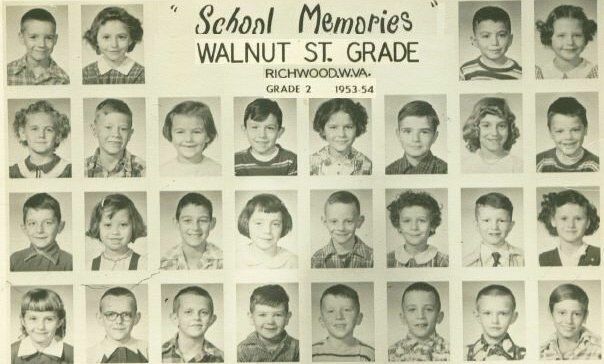 These are the class pictures of my years at Walnut Street Grade School. I can't remember everyone's name, but David Wills, Allen Henderson and I are in both. In first grade Allen is the first boy in the top left-hand picture, David is the first in the 3rd row,and I'm 7th from the left. In second grade I'm second from the left in the 2nd row, David is first in the 3rd row, and Allen is sixth from the left in the 4th row. I believe the boy pictured third from the left,4th row is Bob Brown,son of Clive.